Cailah Hicklin, a senior cross country and basketball player, has recently been selected as a George Sink Scholar Athlete. 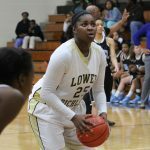 Cailah has lettered in three sports while at Lower Richland including basketball, volleyball and cross country. Cailah will attend Charleston Southern next fall and play basketball. Congratulations Cailah. 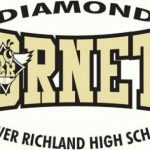 The Lower Richland High School cross country program has announced the summer practice schedule. Please click here for the schedule. Student-athletes can contact head coach Andrea Hallmon-Lucas via email at andrea.hallmon-lucas@richlandone.org or by cell phone at (803) 447-3454 if they are planning to attend summer workouts on Tuesday and Thursday from 8 a.m. – 10 a.m.